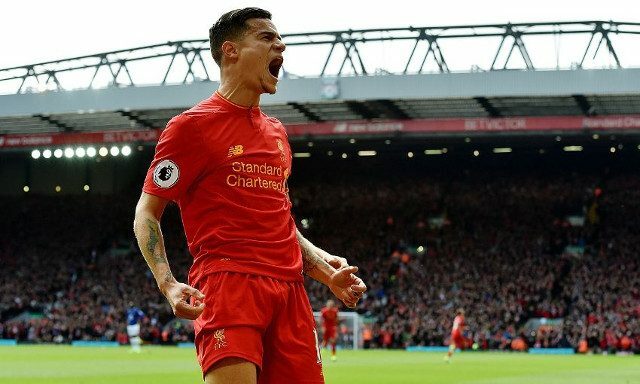 Philippe Coutinho has gone someway towards proving he is worth a lot more than the £72million Barcelona recently offered Liverpool for the Brazilian. The No.10 was in the thick of the first half action in his side’s Asia Trophy final against Leicester, setting up the equaliser before putting the Reds ahead just before the break. Liverpool went behind early on when Islam Slimani headed home at the back post to take full advantage of some poor defending in the build up. Coutinho was at hand to inspire a response shortly after, though, as he fed the run of Mohamed Salah, who expertly directed his header into the bottom corner to level things up. This marked the main but not the only example of the pair linking up and showing signs of forming a formidable understanding. Jurgen Klopp’s men took the lead shortly after when Coutinho characteristically cut in on his right foot before unleashing a fierce strike past Kasper Schmeichel and into the top corner. The Reds went on to control the second half, seeing the win out comfortably and becoming the 2017 Asia Trophy winners.